We are raising £1,700 to take our A Cappella show, '10 Things I Hate About A Cappella' to the Edinburgh Fringe Festival for the first time. This project is close to all our hearts, and will help the society achieve goals it has never reached before, perform on a global stage and be challenged and inspired by other A Cappella groups attending the festival. 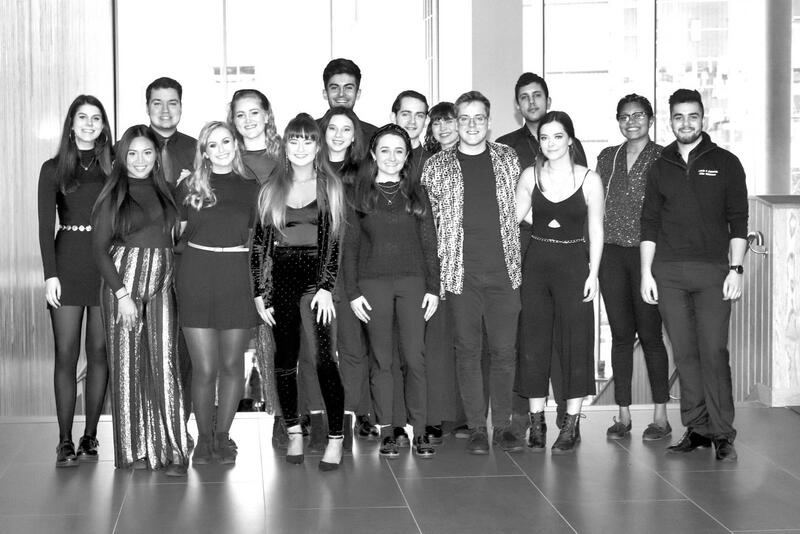 We are The Songsmiths from the University of Leeds, an award winning and internationally competitive A Cappella group who perform across the country. We have performed on ITV's This Morning and Loose Women, on stage at The Diana Awards and for many other charities. The group is celebrating its 10 year anniversary this year, and we hope to go beyond anything the society has accomplished before by taking our show to the biggest arts festival in the world. The Songsmiths is made up of 16 students, from first years to postgrads! We have been rehearsing tirelessly all year to create a show that reached the ICCA UK Final this March, where judges have praised our professionalism, innovative style and intricate arrangements. This year the society has become bigger and better than ever, becoming more inclusive, broadening our connections with A Cappella societies from other universities and establishing 'The Songsmiths' as a recognisable and established group. By taking a show to the fringe, we are giving our members the opportunity to perform on the biggest world stage, not to mention all the soft skills gained in the process of workshopping and crafting a commercial show. This is important to us as a committee as we want to give first-year students the chance to experience this unforgettable opportunity, as well as giving final year students their last goodbye to the society. This is where you step in... As a donor, supporting this cause will have an immediate impact on the current students at the university. Your donation will allow our work to become a tangible reality, increasing the longevity and sustainability of the society in years to come. £240 flyers and posters, essential for drawing in an audience at such a competitive event. For a £10 donation, we will post a personalised 'Thank you!' on our social media channels. For any donation, you will receive updates on the fund-raising progress, and exclusive behind-the-scenes content. As a society, we have already managed to cover some of the costs ourselves, including the accommodation and venue deposits. However, what we need is some extra support to help subsidise this cost for all members/individuals taking part. Follow us to find out how we're doing! Please share our updates with your friends, family, and anyone you know who may be able to help us with our cause! A shout out for you on our social media to say thank you for helping us reach our goal, and be remembered for helping our project! We will record a personalised song for any occasion! Birthdays, funerals, weddings - any Aca-occasion!